We’re just days away from having a 2017 World Barista Champion – but what does it take to win one of coffee’s most prestigious competitions? 2016 World Champion Berg Wu and his wife Chee Lu hold the answers. 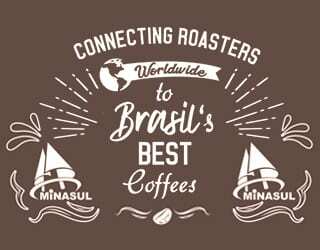 Earlier this year, I joined Berg and Chee on the Ally Coffee Champions trip, a tour around some of Brazil’s best farms. 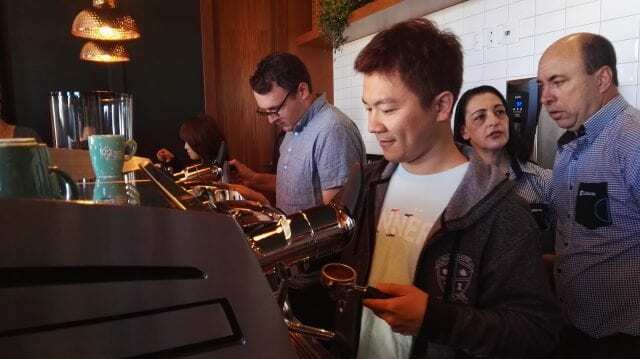 In between meeting producers and sampling coffees, they shared with me the story of how an electrical engineer became one of the most celebrated people in the industry. Berg and Chee are entrepreneurs at heart. They tell me that, while Berg was studying, he couldn’t afford to buy coffee all the time. Rather than complaining about it, he decided to take matters into his own hands and learn how to brew. Once he discovered he was good at it, the couple then bought a coffee trike and began selling his coffee. After all, why not make the most of his skills? Later on, they saw an opportunity to open a coffee shop: Simple Kaffa in Taipei, Taiwan. It wasn’t easy; starting a new business never is. But while Berg dedicated all his time to the café, Chee supported the initiative by working as an interpreter. It is this entrepreneurial spirit and ambition (not to mention a passion for good coffee!) that led Berg to compete year after year. And these traits certainly helped the husband-and-wife team to take home the trophy. Ambition cannot succeed alone. You also need a strategy. Berg and Chee tell me that, the first time Berg competed, he placed highly in the national championship. While others may have been satisfied with this, they weren’t. Instead, they asked what more they needed to do to win. The solution lay in Chee’s excellent English and coffee knowledge – and also her dedication to the goal. She decided to become an international sensory judge, knowing that this would allow her greater insight into the event rules, scoring systems, and judges’ expectations. With this knowledge, Berg was then able to create a presentation designed specifically to impress the judges and score well. Chee tells me Berg designed his competition routine alone – but that doesn’t mean he was unsupported. While he focused on the competition, she trained their coffee shop team and provided him with valuable experience. In fact, Berg and Chee felt so strongly that it was a team effort that they brought their entire staff to Dublin for the Championship. Not only did Berg benefit from knowing they were there supporting him, but it showed them how important they were to him. What’s more, Berg was so determined to include his team that he decided to deliver his presentation in Taiwanese. He wanted all of his friends and family to understand what he was saying. Chee joined him on the competition floor and translated his words for the judges. Every tiny detail matters when competing on the world stage. 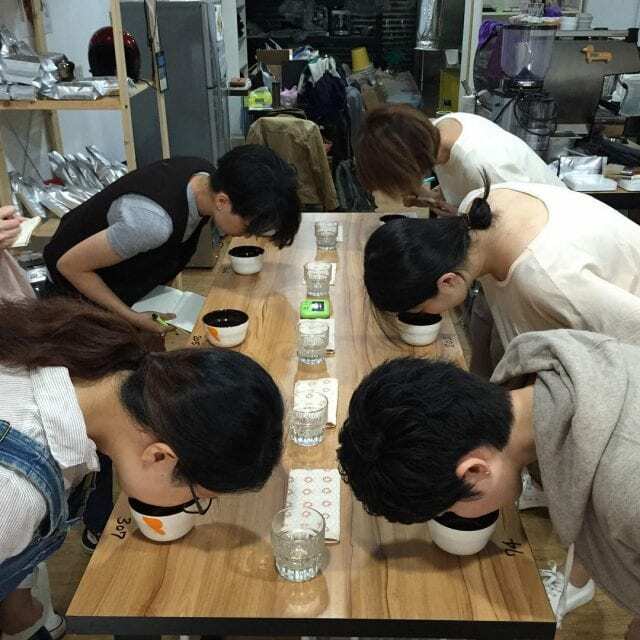 To ensure Berg served the best possible coffee to the judges, Berg and Chee experimented with every variable. 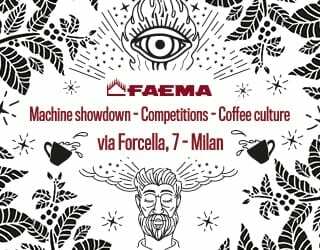 Berg realised that his hot portafilters were heating up his espresso and obscuring the delicate floral aroma of his competition coffee – a Panamanian Geisha from Finca Deborah. In response, he tried cooling it down with chilled water. The result? A more aromatic coffee that delighted the judges. Winning the World Barista Championship requires many things: exceptional technical skills. Passion. 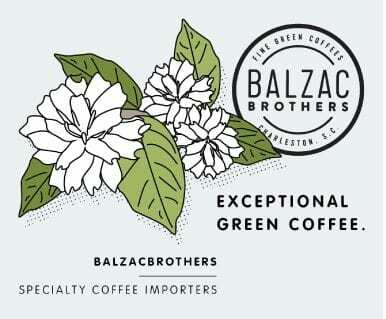 Great coffee. Familiarity with the equipment. And as Berg and Chee demonstrate, it also requires ambition, strategy, support, and experimentation. 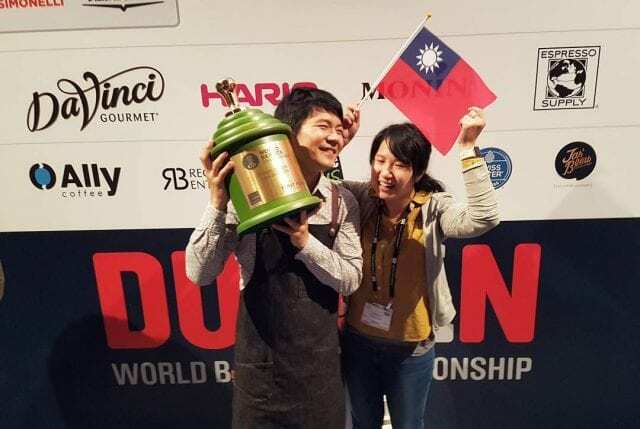 No doubt the next World Barista Champion will demonstrate similarly impressive skills – and a similarly impressive story.